Observation - Calocera glossoides - UK and Ireland. 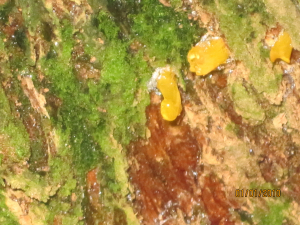 Description: Very tiny orange fungus growing on a tree stump. Very tiny orange fungus growing on a tree stump.